As we approach the solemn observance of Memorial Day, we remember those men and women who have given their lives in defense of our country. We can trace the beginnings of this holiday to the Civil War, and in 2018, graves are decorated all across America. 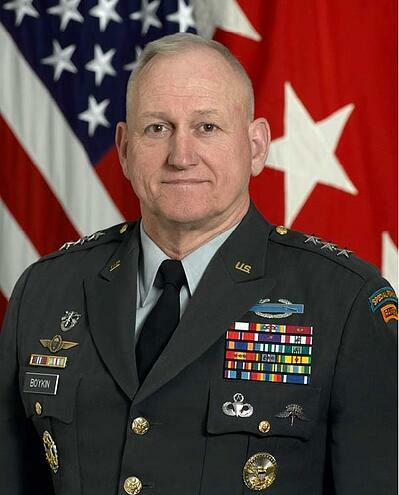 Today, the Kerusso Blog team has the great honor of featuring Lt. General (retired) William G. “Jerry” Boykin, a member of Delta Force, and participant in some of our country’s most famous modern combat missions. He is now executive Vice President for the Family Research Council in Washington D.C. We spoke with him about the true meaning behind Memorial Day. Kerusso: General, you’ve served in armor, airborne, and infantry, from Vietnam to the Persian Gulf. When you think about the men and women you’ve served with, how does that impact how you spend Memorial Day? Gen. Boykin: My view of Memorial Day is what Memorial Day was designed for, honoring those who serve our nation and who died and rest in graves around the country. I want to use that to celebrate their lives. I go to a veteran’s cemetery each year, Arlington or a local one, and I reflect on those I served with and those who died in combat, along with those who survived but have since died. Kerusso: You grew up in a town in North Carolina, but your career has taken you around the world. What are just a few things that come to your mind when you think about what America stands for? Gen. Boykin: I think of opportunity and I think of commitment and the dedication of the Founding Fathers, and our incredible experiment of what America is still today. I also think of the Constitution that our founding fathers left us, that has had very little modification over the past 200 years. I see it as a miracle. Kerusso: If possible—given your lengthy and varied career—do one or two people you’ve known exemplify the sacrificial spirit we remember on Memorial Day? Gen. Boykin: Randy Shugart and Gary Gordon. Those two men are Medal of Honor winners under my command at the time they did what ultimately qualified them. In Mogadishu [Black Hawk Down] they voluntarily went into danger to save four of their comrades who went down in the second crash. No support and no help and they went in…they both died. That is the sacrifice. They knew the chances they would come out were not good. They asked three times to go in. That’s exacty what Memorial Day is all about. Kerusso: You have recalled what you call a miracle that took place during the Iranian hostage rescue attempt, in 1980. Tell us briefly about that night in the desert. Gen. Boykin: All the Delta Force guys prayed in an old Russian MiG [fighter jet] base in Egypt. I led the prayer and asked God to bring us home to our families. One of the helicopters crashed after refueling; it lifted off and then came down on top of a C130. All 45 Delta guys who prayed in Egypt came out alive. One at a time they jumped out on the ground, shrouded by fire. God does still perform miracles. Kerusso: At Kerusso, we are pleased that we have friends all across the country—every demographic; it’s part of our company’s “fabric,”. If you could say just one thing to ALL Americans, what would it be this Memorial Day? Gen. Boykin: You need to be proud to be an American and recognize the men and women lying in graves all over the world, who have given you the right to be an American. Kerusso: General, thank you for the talk, and thank you for your service.